This tutorial was written by LadyAries on October 30th, 2014. I am using the beautiful art of Eugene Rzhevskii. 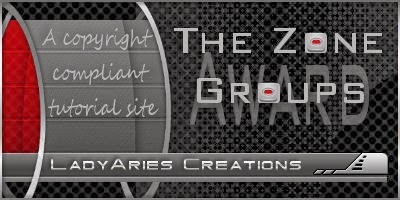 I am using the fantastic PTU kit "Pick Your Poison" by Devilish Dezines. Open template, Shift D to duplicate then close original & delete credits. Resize Canvas size to 650 by 525, this will give you a little more room to work with. Select all/float/defloat new raster layer. Flood fill with #8b3150 or a color of choice, select none & delete original template layer. Drop shadow & duplicate this layer. Then go to Layers, merge & merge down. 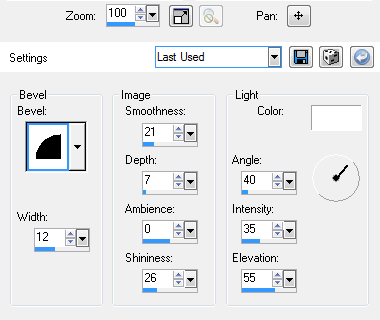 Select all/float/defloat new raster layer, open paper8 copy & paste into selection, selection invert, delete, select none & delete original template layer. Select all/float/defloat new raster layer, open paper3 copy & paste into selection and move it around to where you want it, selection invert, delete, select none & delete original template layer. Select all/float/defloat new raster layer, Flood fill with #c4577c or color of choice, select none & delete original template layer. Select all/float/defloat new raster layer, Flood fill with #8b3150 or color of choice, select none & delete original template layer. Repeat steps from Text2 above, Layers, merge & merge down. Now add your drop shadow to this layer and then Inner Bevel with these settings. Now resize your text layer 86 percent. Select all/float/defloat new raster layer, Resize your tube 35 percent and copy & paste into selection and move it around to where you want it, selection invert, delete, select none. Element31 resize to 25 percent-mirror, copy & paste to the left side of your tag. Element65 resize to 25 percent, copy & paste to the right side of your tag. Element37 resize to 12 percent, copy & paste to the left side of your tag. Duplicate & mirror. Element68 resize to 14 percent, copy & paste to the left side of your tag. Element72 resize to 16 percent, copy & paste to the right side of your tag. Element67 resize to 12 percent, copy & paste to the right side of your tag. Element86 resize to 14 percent, copy & paste to the bottom center of your tag. Element92 resize to 18 percent, copy & paste to the top of your tag. Open new raster layer and send to the bottom, copy & paste paper8 and apply your mask then merge group. Duplicate your mask layer & mirror. Duplicate one more time & flip. When your happy with your tag merge all layers and resize to your liking.